Jensen 541S, chassis 100/1090, was acquired for the Museum collection in 2017. The car was once owned by the famous 1960s rally driver & hill climber, Thomas.B.D.Christie. Today, the 541S remains largely on its original paintwork, and has covered just over 66,000 miles from new. The Museum looks at the history that is held on the car so far, and hopes that further information on this historic vehicle, might be found. Registration number now: 969 FEA. Jensen 541S, chassis number 100/1090 was allocated by Jensen Motors to be used as a demonstrator car. An unusual colour scheme was presented for this car. Stated as duo grey paint with green leather trim, the duo grey was actually a pale grey-green, along with a darker grey-green roof section. By the beginning of the 1960s, Jensen Motors had realised that buyers of expensive cars wanted an automatic transmission. Taking this into account, the Jensen 541 S was provided with automatic transmission as standard from the end of 1960 , and manual transmission as an optional extra. 100/1090 was duly fitted with the default automatic transmission. 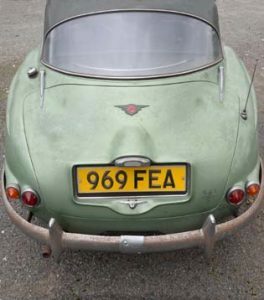 The car was completed by Jensen Motors towards the end of 1961, and registered on 1st January 1962, at which time the car was assigned the West Bromwich registration number, ‘969 FEA’. 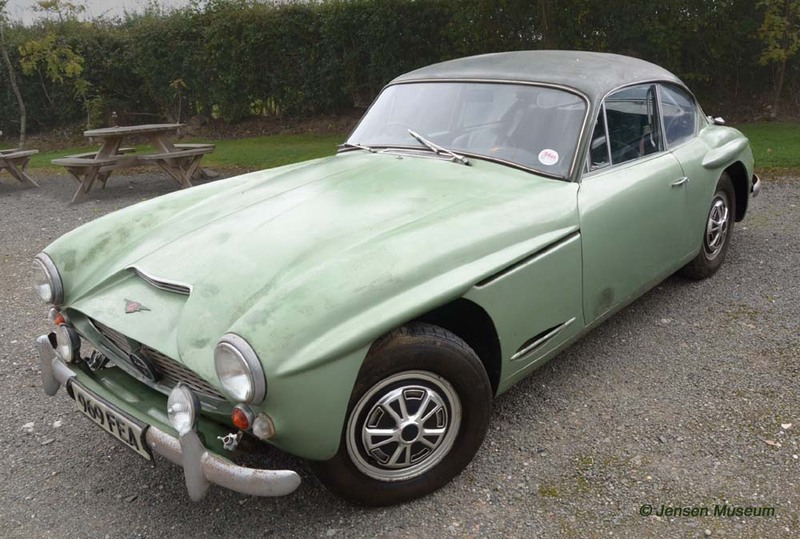 By April, Jensen Motors were ready to dispose ‘969 FEA’. Tom.B.D.Christie from Kilcaldy in Scotland, would be the next owner after Jensen Motors, with Christie registering the car under his name on the 20th April 1962. The original Log Book for 969 FEA. 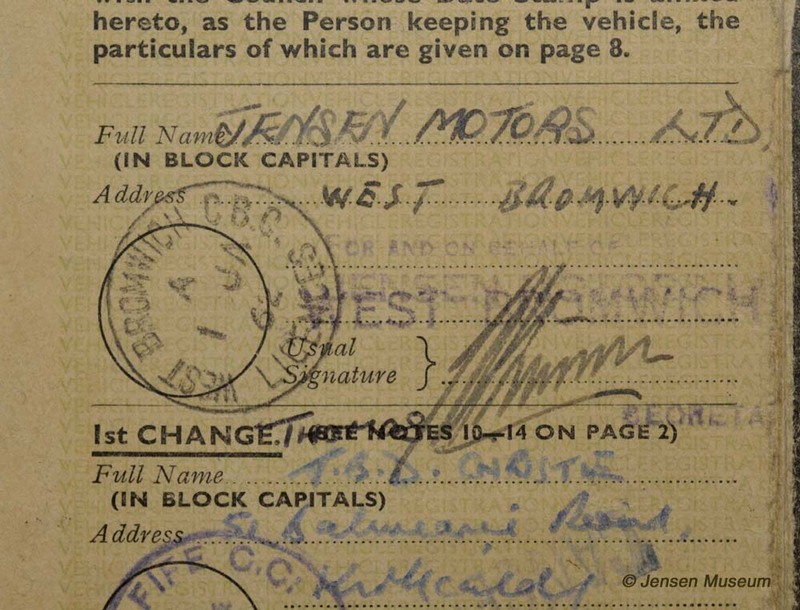 Close-up photograph showing Jensen Motors as the first entry in the Log Book. The car registered on 1st January 1962. Thomas B.D. Christie was born on 27th April 1921. He left school (George Watson College – Edinburgh) at age 14 years and joined the family business, Thomas Christie Butchers, established by his grandfather. Christie’s father had been a founder member of the Kilcaldy Rotary Club, and so, when he died in 1947, Thomas joined the Rotary Club . Thomas Christie Butchers operated from 131 High Street, until a move to premises in Whytescauseway (which were already owned by the family). Leisure time was spent walking and holidaying with wife Kay. He had a special interest in the west coast of Scotland and further a field in the south of France and the Italian Lakes. However, much of Christie’s leisure time was taken up with motor sport. Having started in the 1940’s with M.G. and H.R.G. cars in hill speed climbs, Christie went on to race for H.R.G. at venues such as Silverstone. Rallying was also pursued with vigour, and Christie regularly competed in the Scottish and R.A.C. Rallies as well as the Monte Carlo and Tulip Rallies on the Continent. Most of these competitions were undertaken with cars prepared by him. 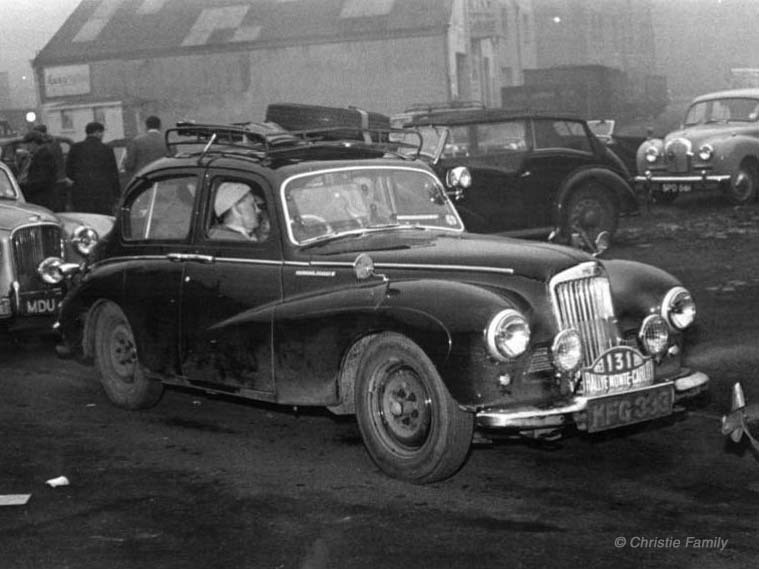 Cars included Sunbeam Talbot, Morris Minor and Mini which eventually led to being the works driver with the B.M.G. team of original Mini’s in the 1960’s. Christie taking part in the Monte Carlo Rally. 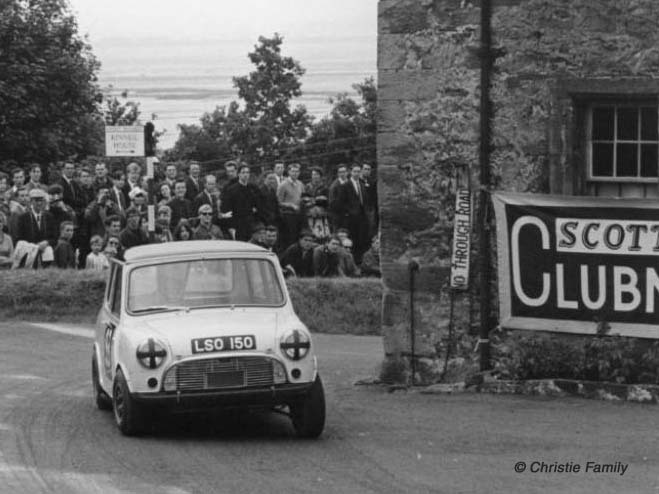 Rallying began to take its toll physically, so Christie went back to Hill Climbs, winning the Scottish Speed Championship in 1968, previous holders having been Jim Clark and Jackie Stewart. 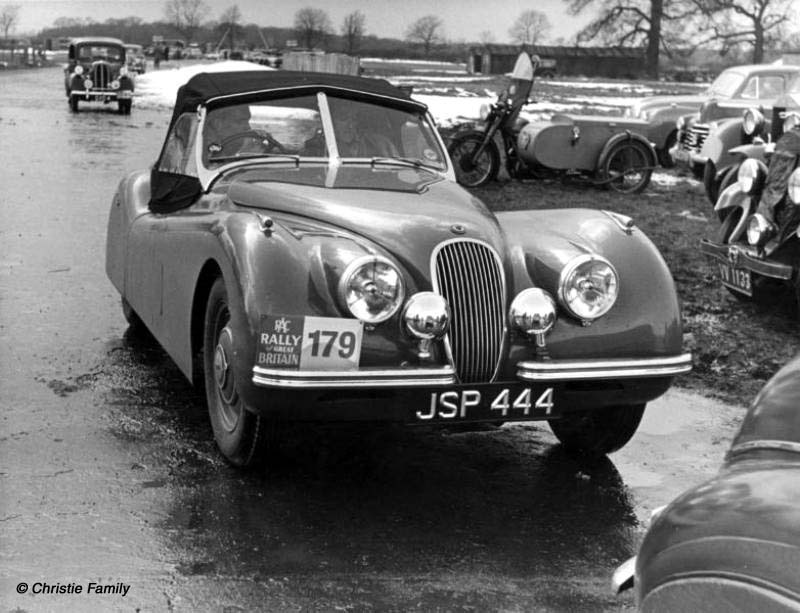 Christie driving a Jaguar in an RAC Rally held during the late 1950s or early 1960s. 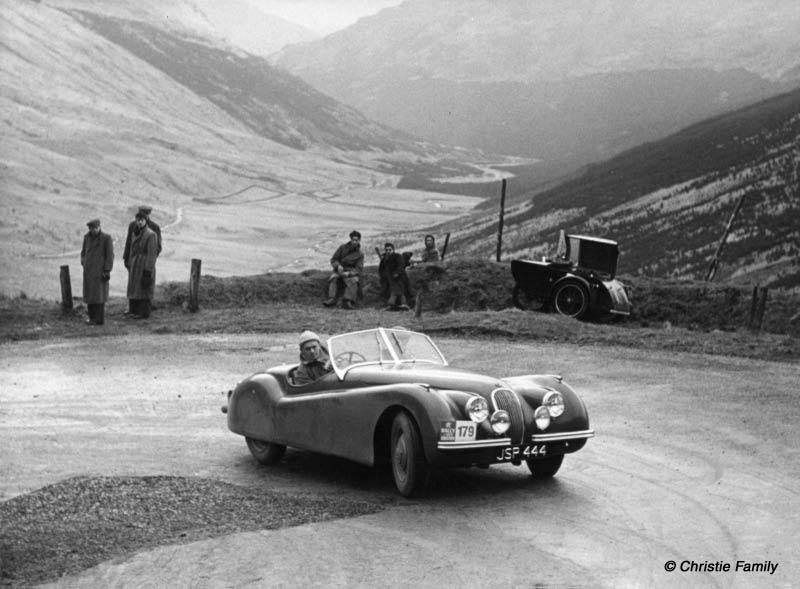 Christie taking a bend in his Jaguar on the RAC Rally. As a keen member of the British Automobile Racing Club, both Tom Christie, and his son John, continued to be well known participants in major hill climbing events, particularly at Harewood Hill outside Leeds. By the later 1960s, both Christies were driving BMC Cooper S cars in Class 5, (special saloon cars with engine sizes of 1001cc and over). Tom Christie managed to set a new championship record of 46.48 minutes at the 10th August 1969 event. Christie driving a competition mini. Typical of Christie, cars would come and go, and so the Jensen 541S was kept for just over a year, being sold in April 1963. Thomas Christie lived on until 2013, passing away at 92. The 541S remained in Scotland, being sold to a solicitor in Falkirk. James Aitken Macreadie was a solicitor, becoming a member of the Society of Solicitors in the Supreme Courts of Scotland (SSC) on 5th December 1950. By 1955 he was also the Secretary to the Falkirk Chamber of Commerce. At this time he was working from Garrison Chambers, Falkirk. Macreadie moved into a large late Victorian house named Summersdale at some point in the 1960s. The house was situated in Brightons, a suburb of Falkirk. He probably moved into Summersdale around the same time he purchased the Jensen 541S. 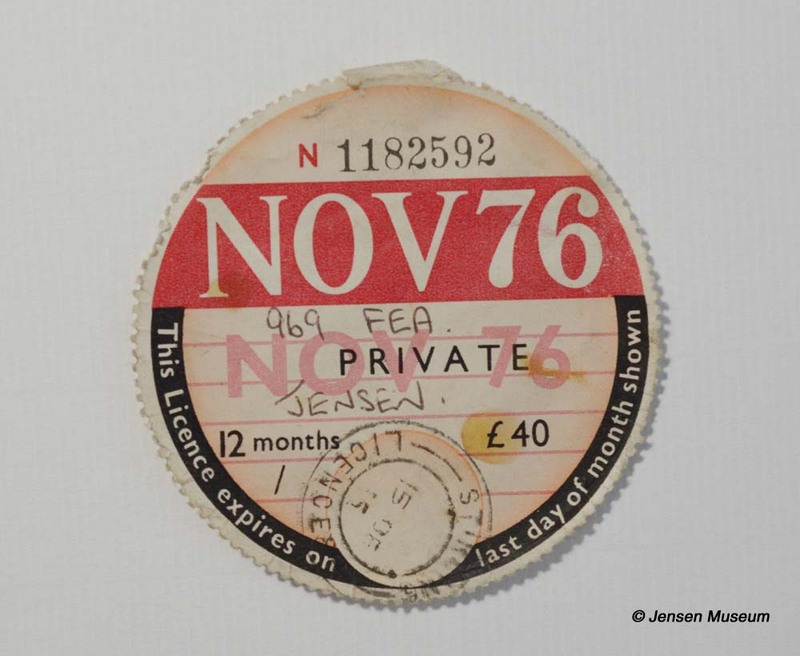 Macreadie kept the Jensen through until 1976, by which time the car had covered just over 60,000 miles from new. Leslie John Doughty would be the next owner of 969 FEA. Born in 1923, Doughty was born in Sheffield. The family moved to a small village called Didbrook in Gloucestershire, not long after Doughty was born. His father started a bakery business, and would deliver bread and cakes to all the local villages. Leslie Doughty joined his father in the business. Leslie Doughty photographed in the 1970s. In 1962, Leslie Doughty, with his new wife and family, moved to South Green in Essex, where they ran a small grocers and sub post office. By 1966, Doughty sold that business, moved to Bournemouth, and bought a business called Token Amusements. The company rented out fruit machines, juke boxes and snooker tables, to clubs throughout the Dorset, Hampshire and Wiltshire counties. 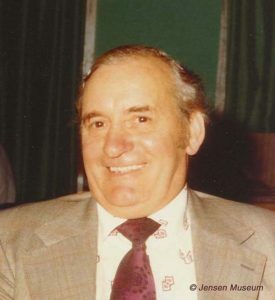 Although Doughty had no previous knowledge of this type of business, by 1976, he had transformed this small business, into a very successful enterprise. A successful businessman needed an appropriate car to drive around in. In Doughty’s case this would be two cars. The family remember that he travelled up to Scotland with a friend and brought back two cars, a Rolls Royce, and the Jensen 541S. Unfortunately, the family no longer remember how Doughty heard about the cars, but presumably they were advertised for sale. 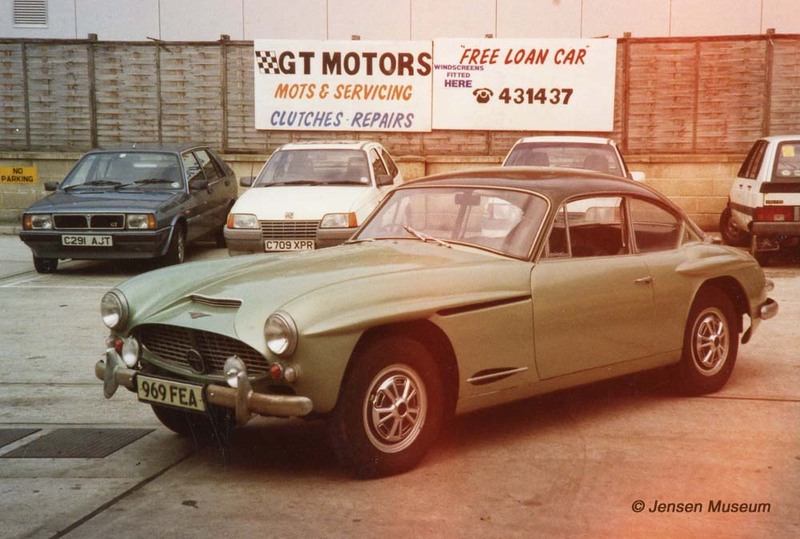 The Jensen 541S was still under the ownership of Macreadie in 1976, and it likely that Macreadie advertised the Jensen for sale. The two cars were purchased and brought down to Southbourne, near Bournemouth, where Doughty was living at that time. The Road Tax disc from 969 FEA dating from October 1975 and running to the end of October 1976. This was during the time Doughty purchased the car. A small local garage, Kimberley Motors, used to look after the cars for Doughty, although apparently he rarely used either car very much. By 1980, the Jensen had been given to his son-in-law, John Ayre, to look after. This led to Doughty giving over ownership of the Jensen to his son-in-law in 1990. Doughty passed away in 2007. 969 FEA photographed in Bournemouth during the later 1980s. The wheel centres were later (non-Jensen) additions, possibly added by Doughty. Another view of 969 FEA photographed in Bournemouth during the later 1980s. The 541 was going in for an MOT. 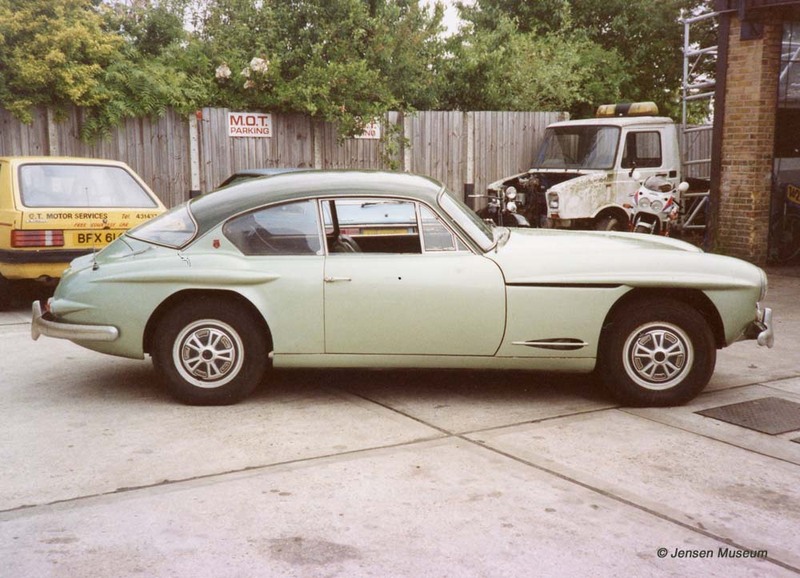 John Ayre rarely used the Jensen, the car remaining garaged most of the time. That said, Ayre continued to tax and insure the Jensen up to 2002, but then stopped. At that time the car had covered just over 66,000 miles, and from then on remained stationary in their garage. 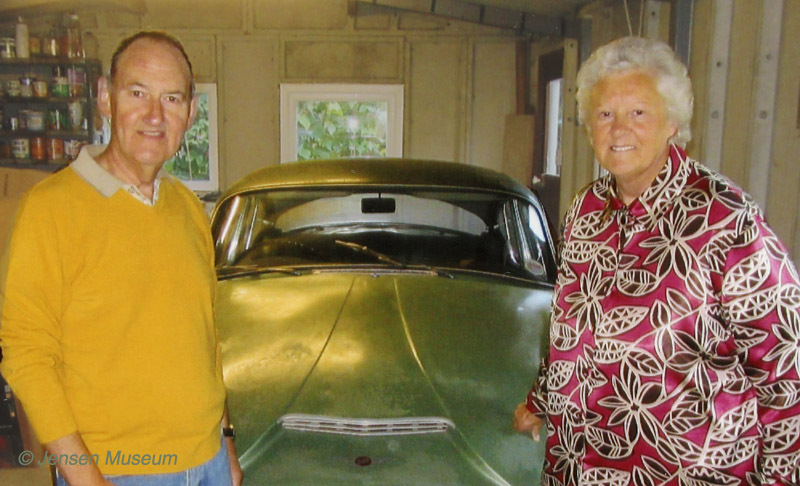 John and Jean Ayres photographed in front of their 541S in 2017. By 2017, John Ayre’s wife, Jean, thought it was time the Jensen was placed for sale. It was obvious the car was not going to be used by her husband, and after a discussion they both agreed it was time to dispose of the car. 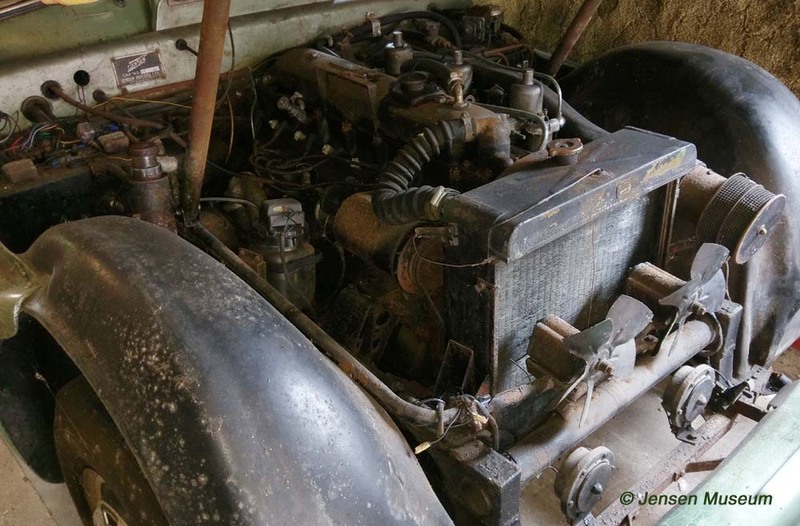 The Jensen Museum acquired the car in summer of 2017. 969 FEA photographed in Shropshire 2017. The focus of the Museum is always towards conservation rather than restoration. Presently the car is in a stable condition, as such our focus is on conservation, as opposed to any degree of restoration. Body / Chassis: Currently the car remains on a two-tone grey green paint with the roof panel darker than the body. Although the car may have had some paintwork undertaken at an early point in its life, the majority would appear to be original. The chassis has been looked after throughout its life, and maintained to a road worthy standard. It is the Museum’s decision to conserve both the body and chassis at this time. 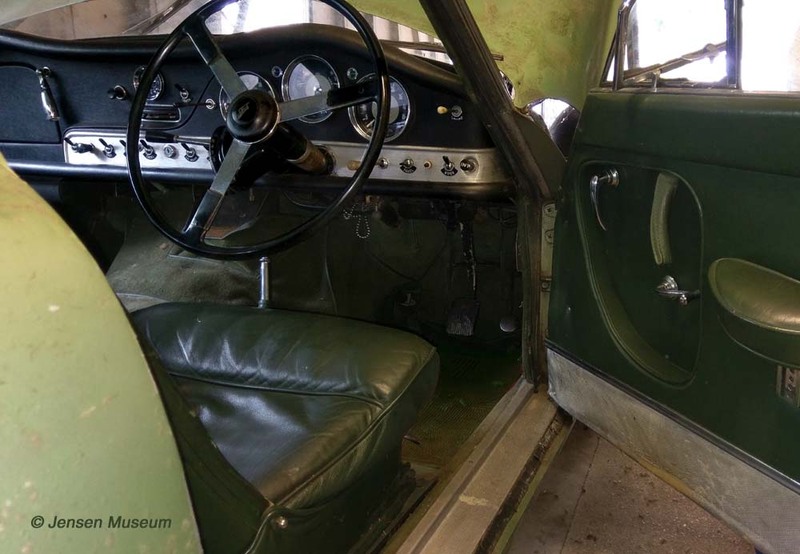 Interior: The interior completed in green leather, and with green carpets, is original in all aspects. The Museum will carefully conserve both the leather and carpets, along with all elements of the interior. Interior view of 969 FEA in 2017. View of the engine-bay to 969 FEA in 2017. ACKNOWLEDGEMENTS: John & Jean Ayres | Falkirk Local Archive | Kilcaldy Rotary Club |John Staddon, CV8 Registrar, Jensen Owners’ Club.